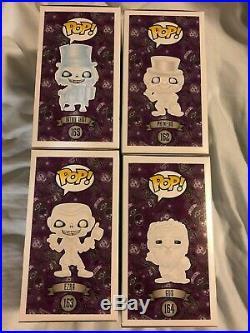 Up for sale is a 2016 SDCC Funko POP Haunted Mansion Set. 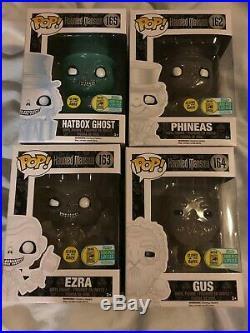 This set is the 1000 Piece Limited Edition Glow in the Dark set. 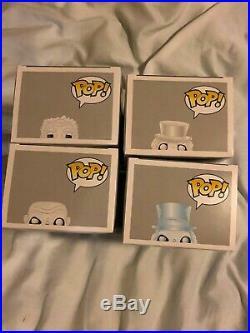 These POPs will all come in soft protectors and packaged to arrive safe. There is very little shelf wear and I have had them in soft protectors since I have had them. 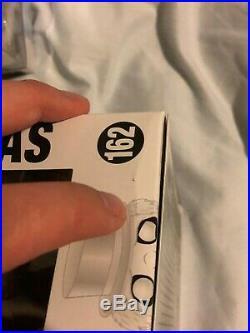 Make sure you take a look at all of the pictures for I have tried to shop any issues with any of the boxes. 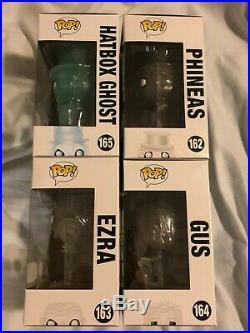 The top of the Gus box has a small dink, Ezra box has a small ding on the edge of the side going to the back of the box and Phineas box has a crease at the bottom of the side. If you have ever been to SDCC or any large comic con you know that you don’t get to pick your boxes and you better be happy that you got what you wanted and that you even got into the line in the first place. 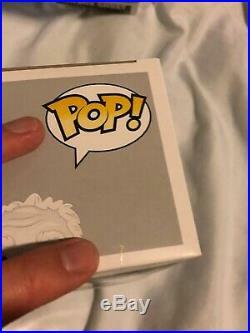 You will receive the items in the pictures. These items come from a smoke free home and are coming from my personal collection. If you have any questions please ask. Please check out my other items for sale. 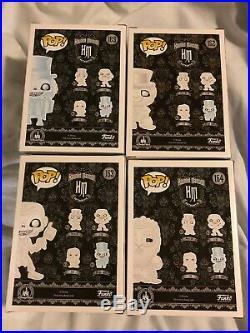 The item “Funko POP 2016 SDCC Haunted Mansion 4 Figure Set 1000 Piece Limited Edition GITD” is in sale since Tuesday, March 19, 2019. 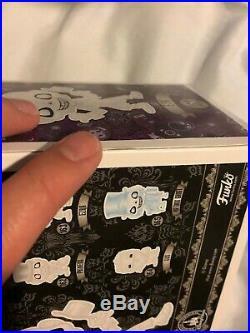 This item is in the category “Collectibles\Pinbacks, Bobbles, Lunchboxes\Bobbleheads, Nodders\Modern (1970-Now)\Funko”. The seller is “socojane2005″ and is located in Champaign, Illinois. 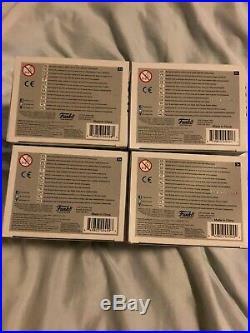 This item can be shipped to United States, Canada, United Kingdom, Denmark, Romania, Slovakia, Bulgaria, Czech republic, Finland, Hungary, Latvia, Lithuania, Malta, Estonia, Australia, Greece, Portugal, Cyprus, Slovenia, Japan, Sweden, South Korea, Indonesia, Taiwan, South africa, Thailand, Belgium, France, Hong Kong, Ireland, Netherlands, Poland, Spain, Italy, Germany, Austria, Bahamas, Israel, Mexico, New Zealand, Singapore, Switzerland, Norway, Saudi arabia, Ukraine, United arab emirates, Qatar, Kuwait, Bahrain, Croatia, Malaysia, Brazil, Colombia, Panama, Jamaica, Viet nam, Uruguay, Barbados, Bangladesh, Bermuda, Brunei darussalam, Bolivia, Egypt, Gibraltar, Guadeloupe, Iceland, Jordan, Cambodia, Cayman islands, Sri lanka, Luxembourg, Monaco, Macao, Martinique, Maldives, Nicaragua, Oman, Paraguay, Reunion.